Research by a group of scientists from the University of Dundee and the James Hutton Institute, along with partners from Glasgow and Durham universities, has found that a genetic process known as alternative splicing has a massive effect on the response of plants to stress from cold temperatures. The paper -published in the American Society of Plant Biologists’ journal The Plant Cell - is already proving very influential and attracting wide interest. Changes in gene expression determine how plants and animals grow and develop. Besides genes being turned off and on, many other processes determine expression. Probably the most important of these is alternative splicing which generates more than one product from a gene. Alternative splicing is one of the reasons why humans only have around 30,000 genes but are tremendously complex. Plants also feature the process, but little is known about how important it is to how plants respond to their environment and stress conditions like low or high temperature, drought, flooding, salt and others. The new paper by Calixto et al (2018) proposes innovative analysis methods to measure both the scale and dynamics of alternative splicing when plants are exposed to cold, and it shows that hundreds of genes undergo rapid changes in expression to help the plant acclimatise to low temperature. Its Altmetric score of 45 puts it in the top 2.5% of all papers and top 1.5% of papers from the journal. The research demonstrates that it is essential for plant and crop biologists to include analysis of alternative splicing in their studies. 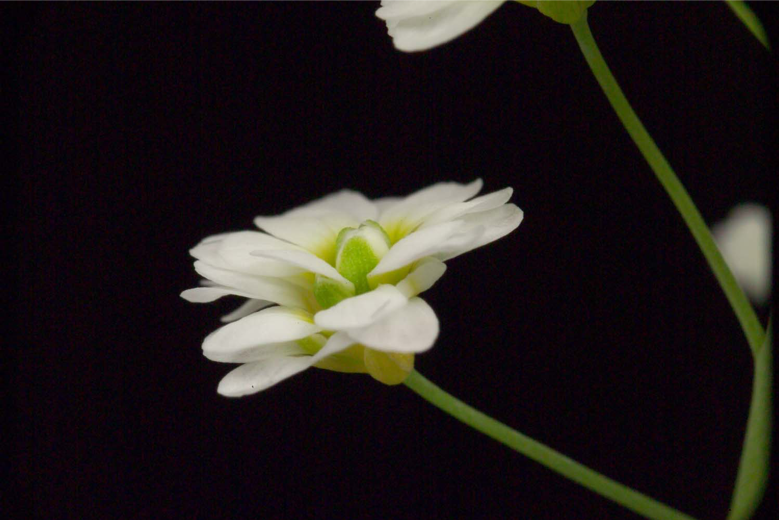 Although the team focused on Arabidopsis, a model plant often used in research, these methods are being translated to barley and potato and are applicable to other crops. Co-author Cristiane Calixto was recently awarded the 2018 Peter Massalski Prize for Meritorious Research by the Scottish Society for Crop Research. Paper: Cold-induced dynamic alternative splicing. Cristiane P G Calixto, Wenbin Guo, Allan B James, Nikoleta A Tzioutziou, Juan C Entizne, Paige E Panter, Heather Knight, Hugh Nimmo, Runxuan Zhang, John W.S. Brown. The Plant Cell May 2018.